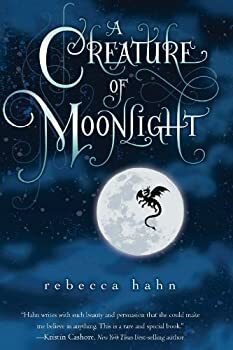 Rebecca Hahn grew up in Iowa, attended college in Minnesota, and soon afterward moved to New York City, where she worked in book publishing and wrote A Creature of Moonlight on the side. She now lives back in Minneapolis, with the winter cold, the wide sky, and many whispering trees. 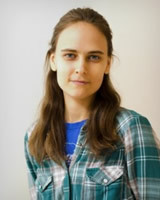 CLICK HERE FOR MORE BOOKS BY REBECCA HAHN. All summer long the villagers have been talking of the woods. Even those living many hills away can see it: their crops are disappearing; their land is shrinking by the day. We hear story after story. One evening a well will be standing untouched, a good twenty feet from the shade, and when the farmer’s daughter goes to draw water in the morning, there will be nothing left but a pile of stones and a new tree or three growing out of the rubble. And all along beside it, the woods stretch on and on, where no woods were the night before.